Are you in need of an Australian tax refund? Welcome to Australian Tax Solutions. Based in the heart of the country, we are a committed company that was established to provide Australian income tax services. Our team have lived and worked in Australia for almost a decade and are members of a number of different professional institutes – so you know we are the business you need to contact today. Here at Australian Tax Solutions, we are very proud of providing excellent Australian tax services to clients worldwide, using our professional and personal experiences to get the best tax outcome for all clients, big or small.  We also work closely with our Irish partner firm to ensure clients remain tax compliant in both Ireland and Australia while minimising worldwide tax and maximising refunds. If you have worked and paid tax in Australia during the year you are required to submit a tax return. From 1 January 2017, working holidaymakers are subject to a flat rate of tax, currently 15% on the first $37k earned and are exempt from paying the Medicare levy of 2%. Australian tax refunds can be lodged from overseas and refunds are generally paid into Australian bank accounts within 10 working days. Regardless of where you are now resident for tax purposes, we can assist with filing your Australian tax refund. Do you need an Australian tax refund? Would you like some assistance with the process? Make sure you visit our website today. However, if you would like to have a chat with a member of our excellent customer service team – give us a call on 085 8720746. Alternatively, fill in the contact form on our website and someone will get back to you as soon as possible to discuss how we can best meet your requirements.